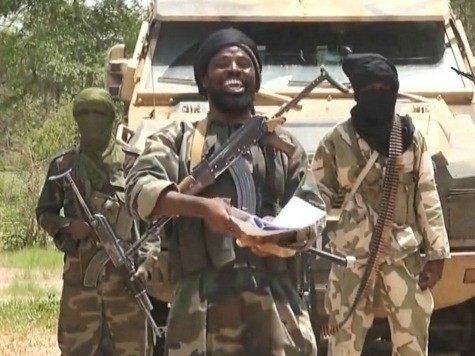 Boko Haram has executed its first bombings and village attacks in the new tenure of President Muhammadu Buhari over the weekend, striking both small villages and the marketplace at Maiduguri, the capital of northeastern Borno state. The Wall Street Journal reports of at least three attacks in the northeast resulting in the deaths of at least 42 people over the weekend: one on a wedding, one on the Maiduguri marketplace, and a barrage of rocket attacks on the same city on Sunday. The wedding bombing occurred during the inauguration of President Buhari, in the town of Hawul 400 miles from the capital, Maiduguri. Ten died in that attack, 16 in the market bombing, and rockets claimed the lives of 11. Boko Haram attacked two villages in neighboring Yobe state, Ngalda and Fika. These attacks appeared to be more necessary for the survival of the terrorists than attempts at political statements or conquest of territory. In Ngalda, witnesses stated the terrorists “seized fuel from black marketers and burgled provision stores.” Recharged, they attacked Fika, where they did appear to be targeting the government, rather than looking for food and fuel. Witnesses say terrorists burnt down the Fika police station, as well as several education and health government buildings. They did ultimately steal much of the town’s food provisions. Nigeria’s Daily Trust, which reported the village raids, notes that the Gamboru Market in Maiduguri, targeted this weekend, has been attacked by Boko Haram more than 12 times in five years. AFP adds that the Nigerian military did deploy to Fika, but was “overpowered” upon arrival by the terror group. “Boko Haram gunmen came in two pick-up trucks and on several motorcycles around 9:00 pm (2000 GMT) and kept firing shots haphazardly and firing RPGs on the police station where they forced the policemen to flee and residents to run indoors,” said one resident witness, noting also that homes for government workers were burnt down, leaving many homeless. The string of attacks presents the first challenge to President Buhari, who has vowed to eradicate Boko Haram. The group, which has since changed its name to the Islamic State West Africa Province (ISWAP), has succeeded so far in baffling the Nigerian military. One of outgoing President Goodluck Jonathan’s last acts in office was to fire between 200-290 soldiers for “cowardice” in the face of Boko Haram violence. Soldiers have complained that reports of the military fleeing Boko Haram battlefields are true, but only occur because the government leaves soldiers insufficiently armed to fight back. The Wall Street Journal notes that Buhari also supports a measure that would allow any Boko Haram terrorist who wishes to leave the group to return to Nigerian government hands and be granted judicial amnesty. The measure is controversial, but intended to diminish the group’s numbers and entice captive former child soldiers who were once forced to fight to flee. Cooperation with other nations is also key for Buhari. Under Jonathan, the Nigerian military was routinely criticized, particularly by neighboring Chad, for “regrettable” cooperation with other nations that led to Boko Haram winning battles it should have lost. Buhari is counting with a new ally in this fight: Egypt, whose officials are promising increased cooperation with Nigerian in the face of Muslim terror and violence.